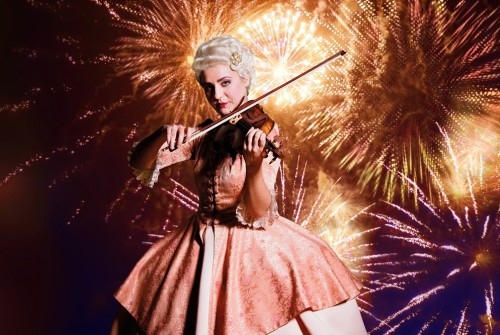 The New Year is duly welcomed by the Berlin Residence Orchestra and concertmaster Vladi Corda with a musical potpourri of pieces by Haendel and Mozart to Strauss and Lehár. The gala in the east wing of the baroque Charlottenburg Palace will provide the framework for a memorable transition between the years. Elated compositions in the royal ambiance of the Great Orangery Berlin will trigger our guests to contemplate the past and welcome the future. Our partner, the five-star Marriott Hotel Berlin, will prepare a three-course menu to be attained upon request prior to the concert. From quail to sea bass, our cherished visitors are offered an experience that is far more than a culinary preparation for the subsequent musical delicacies that will be presented at the gala concert.